The internet bombards us with instructional resources everyday in our email and through social media: “Try this, download this, new lists for this, another way to teach that”. That’s not to say there isn’t some great support for us out there, but do you find yourself pressured to try something new too often? So often in fact that you have neglected to use the routine processes that have always worked? I do think we are brainwashed into thinking we have to try something new all the time to be effective… well, reading teachers, let’s refocus on what we know to be effective. Explicit and systematic instruction are the elements of effective teaching – our job is to plug in the skill, the WHAT we are teaching and the ingredients, the HOW we will teach it. Easier said than done most of the time. But those of you who you know me, know I have developed teaching processes that help you establish the routines that will keep your instruction focused, systematic and explicit. They will make you efficient and EFFECTIVE – providing more time for you to do all the other teaching “things” you need to do – and they still allow you to plug in some “new” practice discoveries now and then, because we DO all need to switch things up once in a while! James H. Stronge, in his new text Qualities of Effective Teachers, 3rd Edition, explores the research on effective teacher qualities and organizes them under several headings that fit with how reading teachers teach: Professional knowledge, instructional planning and delivery, and learning environments. This blog is about instructional routines. The processes we apply systematically WILL be more effective if they are built on current professional knowledge about how students learn to read, are built into our daily planning and teaching, and also create safe learning environments where we respond to our students’ needs to help them be successful learners. 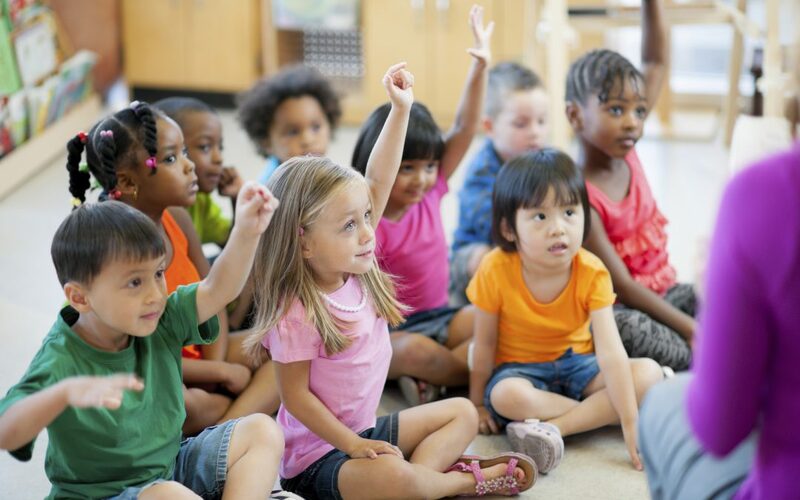 Ask early elementary age students to manipulate sounds in words during multiple brief exercises throughout the day. These tasks are auditory only, no letters are involved! Blend phonemes: Teacher says a word with the phonemes segmented and students blend the sounds to say the word. Segment phonemes: Teacher and students segment and say the phonemes in words. Substitute phonemes: Say cup. Change the /u/ to /a/. Cap. Delete phonemes: Say beet. Say it again without the /t/. Bee. Add phonemes: Say ear. Add /ch/ to the beginning. Cheer. Here’s the routine: Every day, throughout the day engage in brief phoneme exercises. Use words from the stories students will listen to during read aloud, words from their own reading, words that reflect themes being studied, etc. Always ask students to manipulate words at the phoneme level before decoding with graphemes. Use word items that they will be decoding in the lesson. For example, if students will be working with the grapheme -ck, present a few of the word items auditorily first and segment the phonemes to discover the common phoneme, in this case at the end of every word. Teacher: Pick. I will pick up the paper. Word? Teacher and students: (tap fingers or other tactile movement for each sound) /p/ /i/ /k/ Pick. Teacher: What do you hear at the end of pick? Repeat with two or three additional words. The practice element is very important and we rarely provide the extended practice that that will increase the learning quotient for many of our students. Make these practice routines a permanent fixture in your decoding lessons. Phoneme-grapheme mapping, also known as sound spelling, leads students to isolate phonemes in words and then spell each phoneme. This routine helps with decoding automaticity and spelling. Watch a teacher use this routine with a small group of students. Note her routines within the routine – her systematic process repeated with each word. Watch the video here. Here are a couple of blackline masters for you to use. One for early elementary and one for later first grade and up. If you work with older students, these mapping processes can be adapted for multisyllable words. Here is a blackline master for syllable spelling and also a video that shows how this routine looks and sounds with vocabulary terms. Here’s the routine: Use phoneme grapheme mapping, also called sound spelling to introduce and teach graphemes for decoding and also spelling. Only a few words are needed for your capable students, require more practice in small group with students who need more practice to learn new phoneme-grapheme spellings. Check dictionary.com routinely to discover answers to the questions you and your students pose. Scroll down to discover word origin for words. One 4th grade class, created over 450 word groupings over the year, based on shared roots! What a great word study routine! Follow a routine when teaching vocabulary. Here is a step by step lesson from Reading Teacher’s Top Ten Tools. Remember to ALWAYS ask students to say words aloud. This is critical for helping to create a strong phonological neural connection for words. Somehow, the motor movement, the articulation of words helps with decoding words, spelling words, and recalling their meanings too. Make it a routine to ask students to say vocabulary words aloud! Here’s the routine: Daily curiosity about word origin, how words sound, word meanings, and spelling. Talk about words, draw attention to words, collect words. Use a routine when teaching words – follow a systematic process! Regular use of reading routines helps us incorporate many effective teaching elements which can lead to high levels of success that can inspire and drive us. Stronge, in his new book, found this commonality in his research on effective teachers. Effective teachers know their stuff, they seek professional knowledge and seek to apply that knowledge in routine ways. They stick with what works and keep their attention focused on what works. They limit distraction from the many alternate options out there. Simplify your instructional planning when you use systematic routines that keep you focused on teaching the skills that your students need to learn. How well have you maintained levels of professional knowledge about reading instruction? Whether you are just beginning to understand the science behind how we learn to read or need a refresher, The Reading Teacher’s Top Ten Tools online professional development can help build and rejuvenate your professional knowledge. We need reminding sometimes, that there is a lot going on in those young brains when students write. And all of those ‘goings-on’ need a lot of practice to become automatic. I’m not just talking about the cohesive ordered ideas that must form in the mind as sentences connected one to the other, or the right choice of words from an individual’s storehouse of vocabulary, but also everything from the pencil grip, letter formation, spelling (which includes phoneme awareness and the grapheme-phoneme match), even spaces between words! Wow. Writing IS a demanding task. Transcription skills, what it takes to transfer thought to paper, impacts writing fluency. Transcription skills are the skills that determine whether or not there will be a seamless transfer of those important ideas to print. Transcription skills are where the rubber meets the road. So, here’s a mantra for us – Make it Tight – Let’s Write! Make it tight – Tighten up our instruction to include the transcription skills (letter formation, spelling, handwriting, sentence construction) and provide a lot of practice to help those skills transfer our students’ language seamlessly to paper. We teachers must provide the workouts that will build strong writers! verbalize what they are learning and reading about and how to list key words. formulate sentences, and or build paragraphs in response to their learning. “talk aloud” their thinking. Model for students how to apply a structure, a plan in response to metacognitive prompts. use oral rehearsal to first say what they will write and then to write their answers. Let’s focus on two types of daily writing that provide the opportunity for instruction and writing that will build strong writers: Notes, and Sentences. 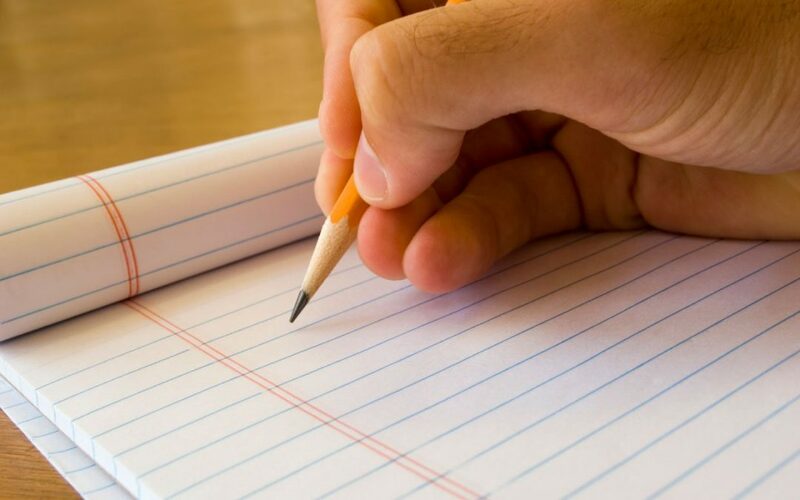 Writing notes is a perfect marriage to practicing the transcription skills and also building the foundation for summary writing (determining and organizing details under main ideas). Writing notes demands very little of the phonological working memory. Students only have to remember one, two or three words to jot down instead of whole sentences. This provides an ideal opportunity for building automaticity of the handwriting, letter formation, and spelling skills. Younger students will benefit from making ‘lists’. Making lists provides ample opportunity to practice spelling and writing skills when asked to list all the things the character in the book did at the park. Use two column organizers for this exercise. Two column notes – Provide the main idea and ask students to verbalize the details to fit. With narratives, students could fill in the story elements – setting, characters, problem, solution, resolution. Informational text and content learning – main ideas and topics provide headings under which the details can be gathered. Brainstorm parts of speech – verbs, adjectives, etc. in relationship to reading material. 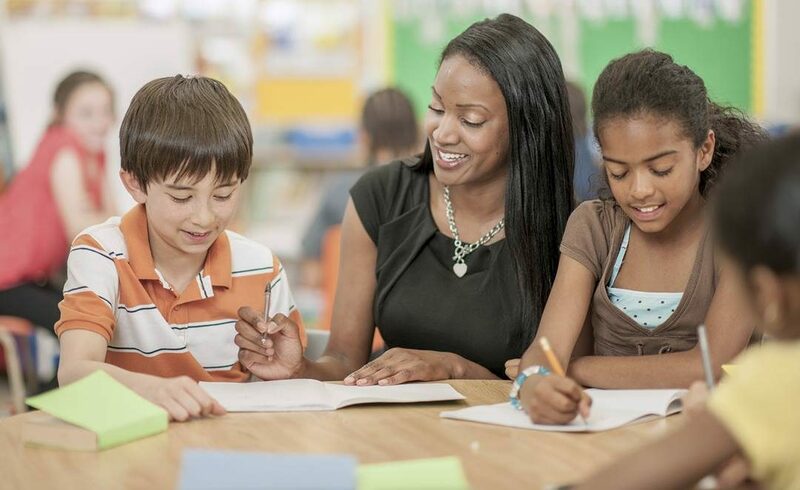 Bold headings – headings provide the main idea, teach students to formulate a question based on the main idea and then read to find the answer. For example, if the bold heading in a text is, Our Natural Resources, a question we might ask is, “What are our natural resources?” After asking this question, students are primed to find the details that fit with their key idea and write them down. 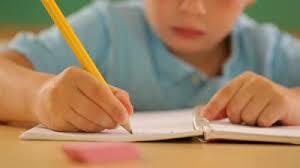 Writing sentences is a skill that benefits from intentional instruction. A new book and national effort to improve writing and critical thinking by Hochman and Wexler, The Writing Revolution, is one of many resources out there to help us learn HOW to teach sentence writing. Sentences are the backbone of written text. Constructing sentences and connecting ideas across multiple sentences is not an easy task, yet that is how we convey our thinking in writing. As it turns out, our knowledge of sentences is also linked to our ability to comprehend when we read! Time spent learning how sentences work, how to write good sentences and combinations of sentences, will not only improve students’ writing but will also potentially result in improved reading! Combining Sentences – Remember those combining sentence exercises we had to do in school? Well, guess what? There is good research behind the exercise! Bring sentence combining into your lessons to make the exercise pertinent to what students are learning. Find two adjacent sentences in student reading material, or what you are reading to students, that can be combined with a conjunction (for, and, nor, but, or, yet and others). Present these and work with students to determine the relationship between the sentences, then the ‘combining word’ that will be used to make one big sentence from the two. Rehearse the sentence orally until the right sentence is found and then write it. Here is a link to a video from The Top Ten Tools to help you see how a combining sentences lesson looks. Sentence Frames – young students benefit from being given a sentence frame in which to plug information about their learning. Who or What – Action – When. Who or What – Action – You can combine when and where and even why or how in the same sentence. You can also use linking verbs instead of action verbs. Here is a link to some sentence frame examples. Grow Sentences – Use a technique I like to call SEED to help students see how simple sentences can grow, just like a seed when we plant it and feed it. Ask questions to gather information that will be used to expand the predicate. Then, lead students to say something else about the subject that will extend our thinking about it – adjectives? Add an appositive? Once all of this is gathered, work to order the resulting phrases, perhaps add a conjunction, decide what the final sentence will sound like. S – Begin with a Simple subject and predicate. Pilgrims sailed. E – Extend our thinking about the subject. “Describe the Pilgrims.” They were brave and determined. The brave and determined Pilgrims sailed to a new land in the Mayflower to live a life free from the king’s rule. Writing is a many faceted thing, a skill that takes many years to develop. We can help build the transcription and language skills needed for writing through daily brief writing exercises. If you liked these writing ideas, you will enjoy The Reading Teacher’s Top Ten Tools. Check it out! January Growth Spurts Are Real! Happy New Year, fellow educators! I have been looking forward to the freshness that accompanies this time of year. Cleaning off my desk, organizing those stacks of books and articles, getting back into our classrooms after a restful time with family and friends, gratitude for the gifts of love and joy in this season. January, and into February, is the time of year when teachers report their students’ reading skills take off. Maybe it’s the cumulative practice effect. Maybe it’s our carefully designed, purposeful instruction. Maybe it’s because now we can relax for longer stretches of academic time without interruptions and really get down to business in our classrooms. Whatever the reason, we all benefit from reminders that inform our decisions and instruction. I’ve gathered a few reminders for you below. Language is the foundation for literacy. Before reading develops, language must develop, and continue to develop once reading skills begin to take place. Here are some ideas for you to incorporate every day, day in and day out to enhance and strengthen your students’ language skills. Avoid open prompts like, “Talk about what you learned.” Give students a specific prompt to guide their conversation. Research has shown that greater learning occurs when we ask metacognitive questions that begin, “How do you know…?”, “What makes you say that?”. Download this document from Top Ten Tools that will give you some effective prompt ideas. While students are sharing, monitor the room. Note students’ use of language. Supply vocabulary terms, restate students’ thinking using syntactically correct sentences then ask them to restate their thinking. Correct any misinformation. Ask additional questions. When students are finished sharing, instruct them to write their thinking. Oral rehearsal leads to improved writing outcomes! Listening comprehension: The researchers who first hypothesized the Simple View of Reading applied Listening Comprehension to denote the language domain. Through listening, students gain vocabulary knowledge, build a sensitivity to the sounds of language, become acquainted with syntax, and develop richer and deeper content knowledge. Read to your students! During the course of the day, ask students to put into their own words what they hear you share and read. Instruct them to share with a partner or write it down. After you give an explanation, or directions, ask students to turn to their partners and tell them what they heard. Before students write, ask them to share their thinking orally first. Provide vocabulary they are learning and ask them to use the new words in their conversations. Write, write, write – Implement brief writing responses several times a day! Coupled with a teacher’s explicit instruction on sentence construction, spelling, and word use, these multiple writing exercises can really help support the January growth spurt! The ability to translate written language into spoken language does not happen without a firm and robust foundation in phoneme awareness and phoneme grapheme knowledge. Learning to decode is not learning a new language, but rather learning the process needed to access a familiar spoken language. 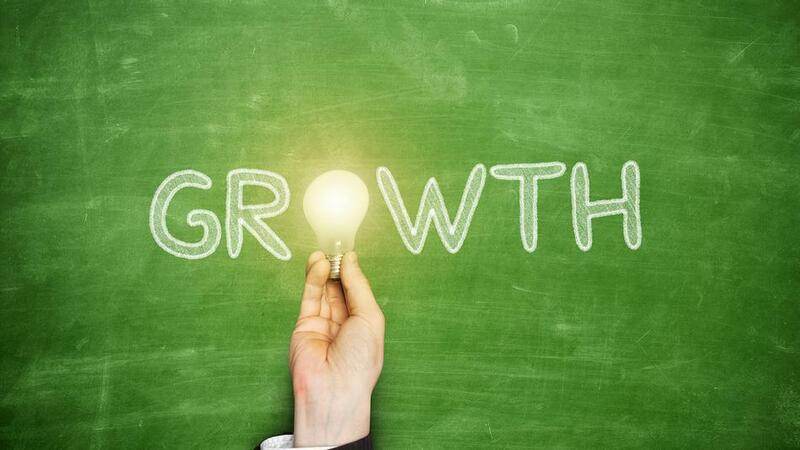 Here are some tips to keep the momentum going and ensure that the January growth spurt happens! Provide LOTS of practice reading texts that contain words students can decode and words that are in their sight vocabularies – This means decodable texts for young students. Words students can decode contain the phonic elements that have been taught to them. Follow these reading practice sessions with comprehension discussions. Strive for at least 20-30 minutes of individual reading practice a day… during school hours. Then work with family members to ensure that reading is happening at home too. Continue your decoding instruction following your skills sequence. Build in frequent reviews or previous phonic elements taught; introduce new words with the graphemes students have been taught. Follow isolated word work with reading the words in connected text. Any word students decode – ask them to encode. A good practice is to decode new words (tap and blend) and then, remove the word from the students’ sight, and dictate the words to them to spell. This practice reverses the pathways in the brain: decoding begins in the orthographic, encoding begins the process in the phonological processing center. Stronger and quicker learning happens when we provide both decoding and encoding in the same lesson. With intermediate grade students, highlight morphology in your word work. Discuss sounds and spellings in the vocabulary words students are learning. Compare the pronunciations of words that share the same root – origin and original – how do the syllable stresses compare? More on morphology – create word families – words that share the same root. Teach intermediate students how to syllabicate to read new words, how to use the root to help them determine meaning and then check out their thinking with an online dictionary. As students get older, and if their reading levels are adequate, increase the complexity of the texts they are reading. Listen to students read aloud to continually assess the student – text match. Adjust the text if necessary. As always, practice makes permanent. How much reading practice are your students getting? What is the miles-on-the-page quotient for your classroom? Happy New Year – May your students’ January growth spurts become a reading celebration! Happy Holidays to you! I have been thinking about the classroom right about now and the lighthearted energy that accompanies this time of year. I recall a mood of anticipation and fun. I also know that the pressures of teaching and accountability are always present in the important work we do to teach our students how to read. So, I thought we might step back and look at our reading instruction with a little playfulness in our perspective. Over the years, I have visited multiple classrooms with Native American and African refugee students. I have observed the power that stories have when working with these students maybe because of the important roles stories play in their cultures. Yet, stories have for generations been the modus operandi for keeping history alive, sharing values, and teaching lessons in all cultures. Stories fascinate, capture attention, and can create a mood of playfulness and increased attention during learning for all of our students. Stories can help us teach hard to grasp concepts; stories are fun; stories are our heritage. There is one story that was shared with me many years ago by a teacher whose name I cannot recall now. Thank you, if you are reading this! I have retold the story many times to teachers and students who are each captivated by it. Here is that story – I hope YOU will use it too! I use this story to teach the soft C phonics rule – teachers and students of all ages love it. But her other children i, e, and y were such naughty children. They were always fighting, they didn’t follow her directions, they were rude and were not nice to each other. Whenever these children came after mama C cat, she would hiss, /s/ /s/ /s/. Let’s see what mama C cat will say in some words. (Write CIRCUS on the board.) “I see mama C cat right at the beginning, what child comes after her in this word?” i. What will she say? Right, she will hissssss!” Scoop the first syllable and read it, CIR-. Move along in the word, “Here is mama C cat again. What child comes right after her this time? U. What will she say? /k/. Right.” Scoop under the second syllable and read it, CUS. Put the syllables together and read the word, CIRCUS. Lead students to use the mama C cat rules to determine the sounds of C in multiple words. Ask students to read the words, discuss meanings, and to write the words from dictation. Use this story to correct students’ spelling. For example, a student spells soaked as SOCED. How can you use the mama C cat story to direct the student’s attention to her spelling in order to correct it? Well, obviously the vowel spelling is one thing this student needs to know in order to create an orthographic image of the word to connect with meaning. So teach that. Thank goodness she knows the morpheme that spells the past tense, -ed. Lead her to see that the word she spelled says SOSED. And ask how she will fix it to spell SOAK and then change it to SOAKED. Provide additional examples of hard and soft C to make the learning stronger. The reason why you would spend the time correcting her and explaining to her ‘why’ and providing practice? One reason is because this student is in 5th grade. This student missed out on some very important foundational instruction earlier in her learning. Tell the story early, refer to it often, reinforce teachings frequently! Always be on the watch for those teachable moments… I think there is a story in there somewhere! Stories that we tell, that we share, about ourselves are meaningful in other ways. We become real to our students through these stories. We become people who share similar experiences with our students and their families. Share your stories about how something was hard for you and how you overcame the difficulty with your students who struggle with learning. This can validate their feelings, which is important because these kids need someone to say, “Yes, I understand what you are feeling,” and gives them hope. Tell stories about your mothers and fathers, about your own children. Share some storytelling time with your students during community circle. Model for them how you organize your thoughts, how you use conjunctions to combine ideas, how you avoid the use of AND to limit run-on sentences. Use these opportunities for implicit instruction. You can return to your story later in the day when you are explicitly teaching sentence construction. You already have a captive audience – go for it! How do you use stories to help teach concepts? Where can stories fit into your routines this time of year to benefit your teaching? Be purposeful, model the use of language, use a deep vocabulary, describe emotions and actions and people using the vocabulary from the texts you read to students and they are reading. Bring some fun learning into your days with the stories you share – your students may not know they are learning, but you will. waiter on High Frequency Words? Sight Words? Is There a Difference?